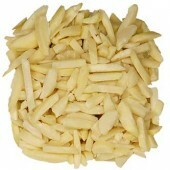 A spin on a classic appetizer, featuring Eatnuts.com Dried Dates and Eatnuts.com Blanched Slivered Almonds! Preheat your oven to 450F degrees. For this recipe, you will need three mixing bowls, a cookie sheet, wire rack, parchment paper, kitchen shears, mixing spoons, measuring spoons, measuring cup, knife, and a saute pan. 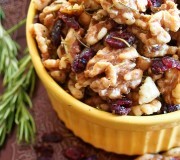 Before beginning this recipe, soak your Eatnuts.com Dried Dates, and toothpicks in water for at least an hour. Place your goat cheese out on the counter during this time to come to room temperature. Keep the toothpicks submerged while you assemble the bacon wrapped Eatnuts.com Dried Dates,, but be sure to rinse and pat dry the Eatnuts.com Dried Dates, before stuffing. Line a cookie sheet with parchment paper, set a wire rack inside, and pour a generous amount of salt at the bottom to catch the grease (if you don't have a wire rack, a broiler pan will work). Place your Eatnuts.com Blanched Slivered Almonds in a saute pan and let them warm over medium heat for about ten minutes, stirring occasionally, set aside to let cool before roughly chopping. Put your room temperature goat cheese into a bowl, along with the chopped Eatnuts.com Blanched Slivered Almonds and salt, and blend thoroughly. Start stuffing the Eatnuts.com Dried Dates (I found a baby spoon works perfectly) with the goat cheese and almond mixture. Cut each bacon strip into thirds (kitchen shears work best! 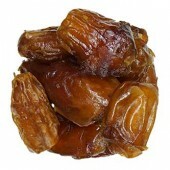 ), and wrap each Eatnuts.com Dried Date and secure with a soaked toothpick. Place on the wire rack of your prepared pan and roast for 7-10 minutes on each side. 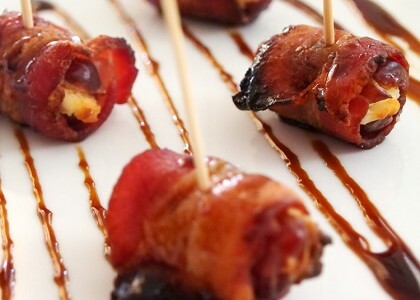 Remove the bacon wrapped dates from the oven and drizzle with balsamic glaze, and serve! While your dates are in the oven, reduce the balsamic vinegar by half over medium heat. Towards the end of cooking, stir in the brown sugar and honey until dissolved. For a prettier presentation, replace the roasted toothpicks with fresh ones. 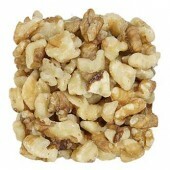 Also try this recipe with Eatnuts.com Walnuts! 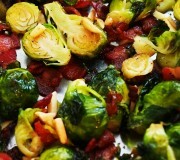 There's no better way to enjoy brussels sprouts than with crispy bacon and sweet toasted almonds! A delicious mix of sweet and savory, loaded with crunch and flavor!